Frederick, MD - Church spires that highlight the Frederick, Maryland skyline have become a symbol of the city’s distinguished heritage and beauty. In 1862, in the aftermath of the battles of Antietam and South Mountain, many of these structures and others throughout town served as hospitals when Frederick was transformed into one vast hospital center as the sick, wounded, and dying needed care. 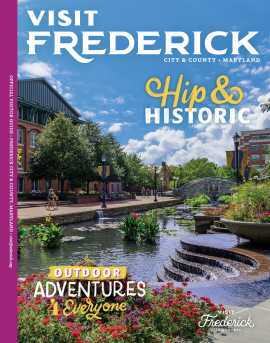 On Friday, Sept. 21, and Saturday, Sept. 22, 2012, visitors can take a self-guided walking tour of select historic sites throughout town and learn how Frederick served as “One Vast Hospital” during the Civil War. “One Vast Hospital” is a self-guided tour of antebellum churches and other sites that served as hospitals after the battles of South Mountain and Antietam during the 1862 Maryland Campaign. In coordination with the National Museum of Civil War Medicine, a half dozen of Frederick&apos;s churches and historic sites that served as Civil War hospitals will open their doors during this special open house event and self-guided Civil War walking tour to commemorate the memory of the thousands of wounded that graced their halls. It will also pay tribute to the military surgeons, stewards, and the citizens of Frederick that gave their heart, time and money to restore the broken bodies, minds, and spirits of the wounded. Throughout the year, Frederick’s National Museum of Civil War Medicine, located at 48 E. Patrick Street, Frederick, Maryland, offers stories of medical care and healing during the Civil War, camp life, and the role Frederick’s churches played during the war to care for the sick and wounded. “One Vast Hospital” will feature refreshment stops, special exhibits, living history programs, and children&apos;s activities. Event brochures are available at the Frederick Visitor Center, online, and at participating sites. For more information, visit our website. Frederick Visitor Center, 151 S. East Street, Frederick, MD and at participating sites. Learn more about other 150th Anniversary Civil War commemorative events and activities.